Reviewed by Janet Nolan, Ph. D.
A graduate of Lagan College, Northern Ireland’s first Integrated School, Raoul McLaughlin has written a remarkable book built on his 2006 doctoral dissertation at Queen’s University Belfast. 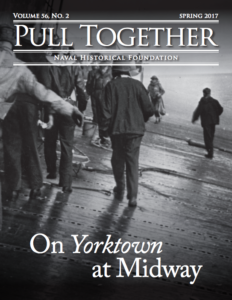 Based on an ingenious and wide-ranging selection of primary sources that are buttressed by a selective group of secondary sources, McLaughlin’s work widens the horizons of the general reader and the scholar alike. Perhaps an even more accurate title for this highly readable book could be “The Red Sea, the Indian Ocean, and the Fall of the Roman Empire,” as McLaughlin meticulously traces the rise and fall of Imperial naval expansion between 200 BCE and 200 AD, first into the eastern Mediterranean and from there, down the coast of East Africa as far as present-day Kenya, then across the Red Sea to the Arabian coast, and eventually across the Indian Ocean to the subcontinent. Further voyages reached today’s Sri Lanka and eventually the coast of Viet Nam, where Roman sailors met an embassy from the Chinese emperor, thereby establishing a short-lived but productive exchange of goods and information between the two greatest empires of the day. Many firsts emerged from this global trade during the Imperial Era. 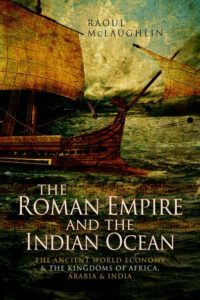 Perhaps most importantly in terms of naval studies, Rome’s adoption of the Indian knowledge of the ocean’s monsoon winds. Roman trading ships could now abandon pilotage between landmarks for navigation on the open sea. Within days of leaving a Roman port on the Red Sea, these pioneering sailors reached the Indus River valley, unexplored by westerners since Alexander’s land invasion two centuries before. Roman mariners were seeking markets to exchange Roman gold and silver for the riches of the east, especially frankincense and myrrh, the main ingredients of incense, plus the jewels and spices otherwise unavailable in the west. These luxuries were purchased with Roman bullion and coins—silver coins were even more valuable than gold in Asian markets—which eventually caused a fatal imbalance in trade between Rome and the raw-material rich east. McLaughlin links the growing costs of treasury-draining imperial expansion to its north and west—he sees the conquest of Britain as a Caesarian ego-boosting drain on Roman bullion resources, for instance—and the demand for Asian luxuries among the Roman elite. The combination of these two factors led to the growing inability of the Imperial government to fund the military that policed its borders. While the expansion of trade with the east enriched Roman life, its costs eventually outweighed its benefits, unleashing the complex series of events that caused the empire to split in two and leave its western half in a dark age where knowledge of ocean navigation and of the east was all but lost for the next thousand years. Raoul McLaughlin’s sophisticated survey of the complexities of Roman economics, politics, and society offers pioneering insight into the fragility of Pax Romana despite its conquests and global reach in trade. His ground-breaking study of a world linked by oceans also calls into question the theory that the ancient world was more primitive than the modern or that history evolves in an ever-ascending arc from the barbaric to the civilized. Dr. Nolan is a former history professor, at Loyola University, Chicago. Buy The Roman Empire and the Indian Ocean now!